Nagpur has a list of extraordinarily talented people who have got their name etched in Guinness World Records. 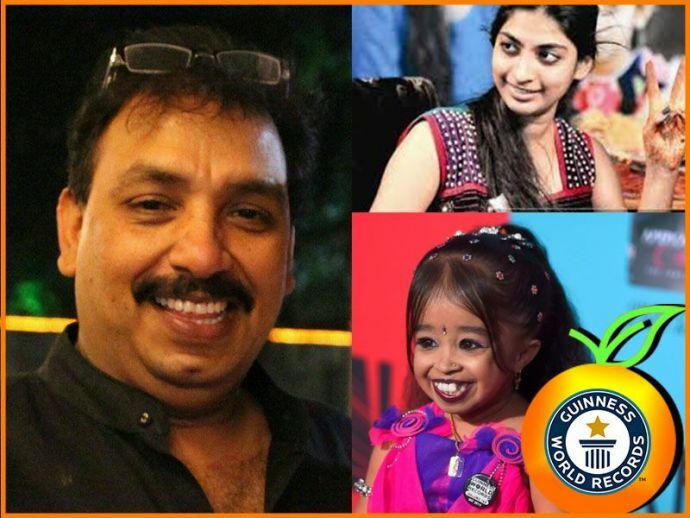 While Chef Vishnu Manohar is busy basking in the limelight on his recent success of cooking marathon; we wish to list some amazingly talented people of Nagpur who have made their way to the ultimate Guinness World Book of Records. 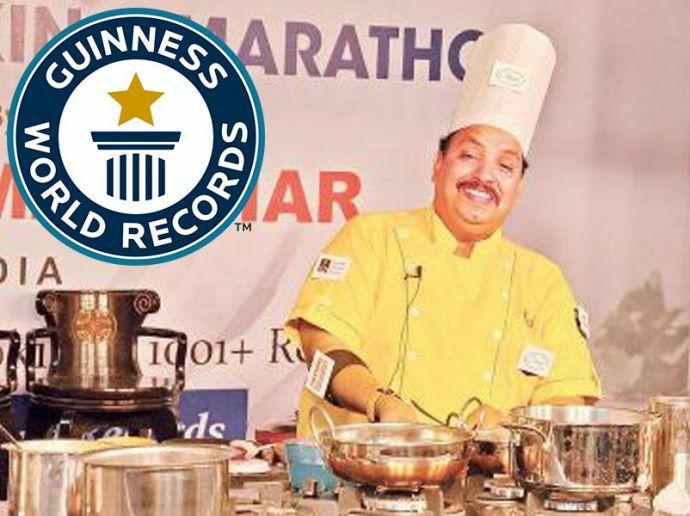 Yesterday, Nagpur’s very own master chef Vishnu Manohar set a record by cooking non-stop for 53 hours. This record was previously held by a person named Benjamin J Perry, USA (40 hours). This extraordinary food marathon commenced on April 21 at 8 am and ended on 23rd April at 5.30 pm. The credit of his accomplishments also goes to his family, friends and his team of 12 sous chefs. 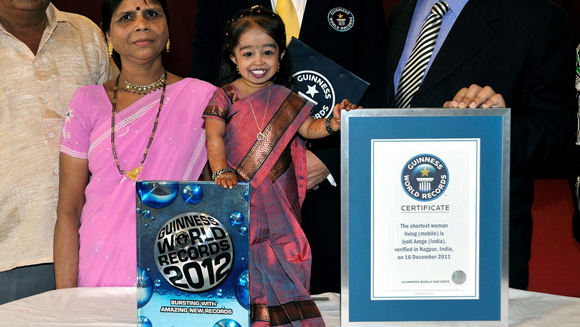 Guinness World Records in the year 2011 on Jyoti’s birthday confirmed that she is the world's new shortest living woman - measuring just 62.8 cm tall (2 ft 06 in). Although she is no taller than the average two-year-old child, Jyoti is a budding name in the fashion world and with the help of her sister customises her clothes and jewellery to match her tiny size. On January 31, 2015, an ordinary man did a very extraordinary thing when he recited Holy Quran for non-stop 115 hrs. 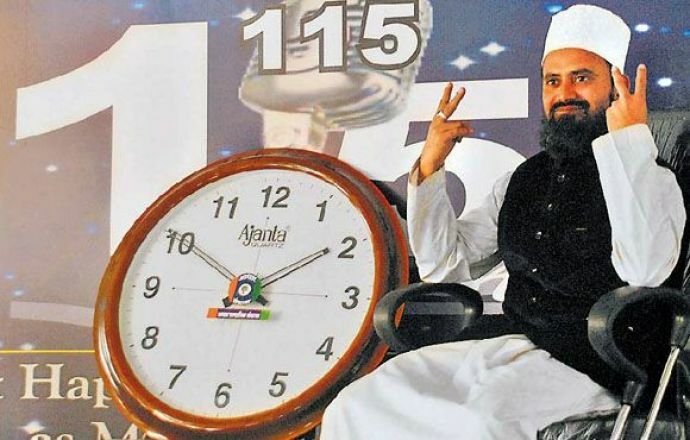 At 9.30 in the morning of February 05, 2015, Shahzad broke the record of Nepal's Deepak Sharma who had set the record of reading non-stop for 113 hours and 15 minutes when he read books of different titles and varying subjects. 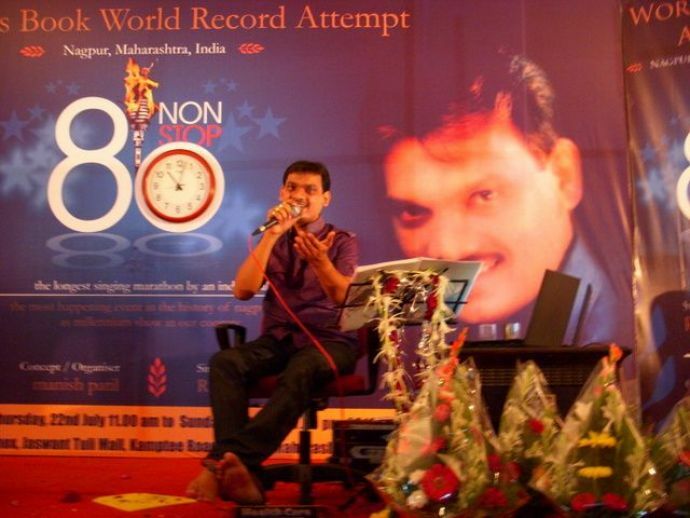 Nagpur’s professional singer Rajesh Burbure on July 2010 made Guinness World Record by singing for 80 hrs and thus surpassed the previous record of 76.7 hours singing by South Korean singer Kim Sen Oke. 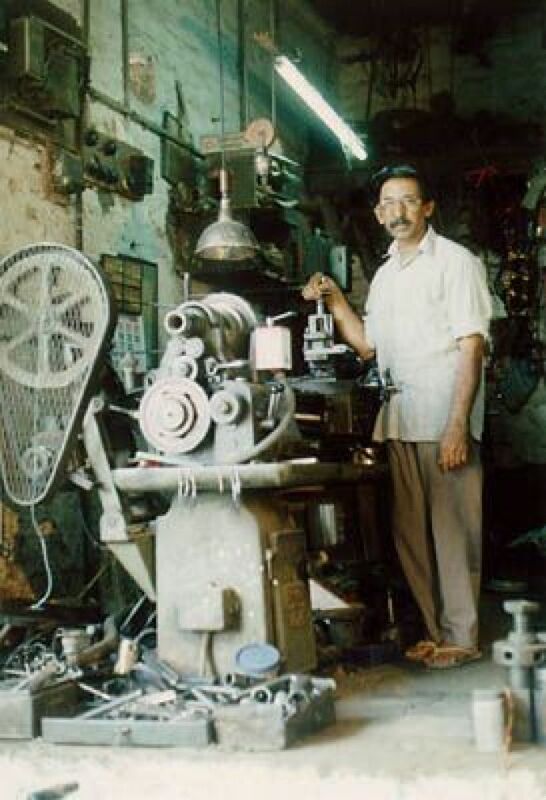 61-year old Iqbal Ahmed made his way into the Guinness World Records by constructing the smallest working stationary steam engine which has a flywheel measuring just 6.8 mm (0.267 inch) across. The machine stands at 6.8 mm (0.267 inches) high and is 16.24 mm (0.639 inch) long and weighs 1.72 gm (0.06 oz). 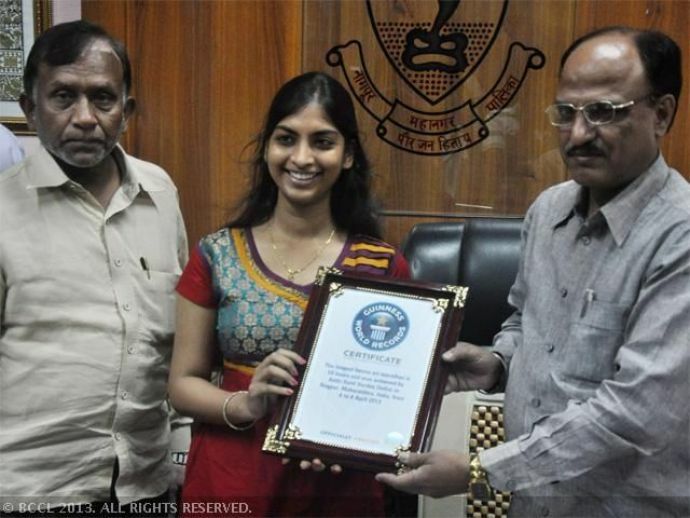 In the year 2009, city girl Ketki got her name into the Guinness World Records by applying mehndi for 50 non-stop hours. Earlier in ‘Longest Henna Art Marathon' category, Dipti Desai from Ahmadabad had set the record for applying mehndi for 24 hours & 45 minutes (170 hands).